The euphonium serves as the bass-baritone voice of the brass family, a role comparable to the violoncello of the orchestral strings. It is primarily employed in wind bands throughout the world as the solo bass instrument or as reinforcement for the tubas or trombones. 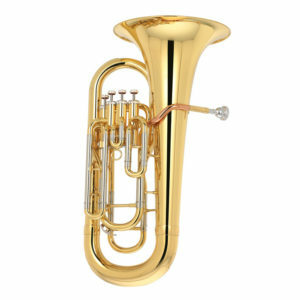 The history of the euphonium is inextricably linked to that of the tuba. 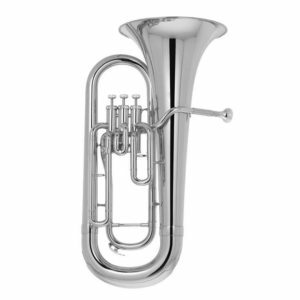 Both Instruments were created to take advantage of the new valve technology of the nineteenth century and both were welcome additions to the military bands of Europe. The euphonium’s deep, mellow tone and facile technique were perfectly suited for the bass-baritone solo lines of wind ensembles.